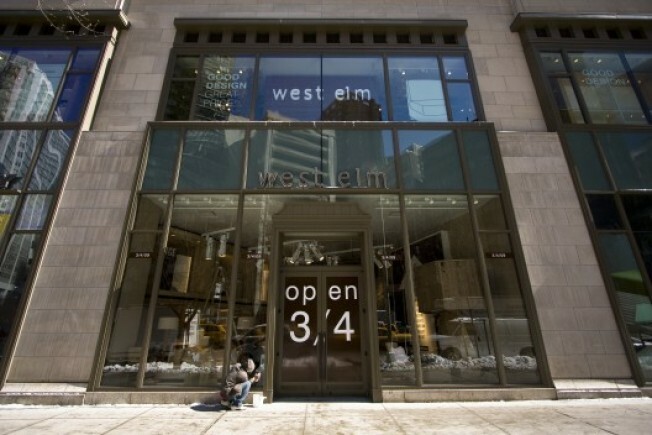 On Wednesday, the city's third West Elm opened on Broadway between 61st and 62nd. What makes this one different: It's gigantic—over 24,000 square feet. Also, it's currently festooned with sculptures by designer David Stark, who used old West Elm materials like shredded catalogs and cardboard boxes to create Elmian objects like a big fuzzy couch and multiple steampunkish clocks. (He also constructed several cardboard cacti, which makes less sense according to the theme but turned out equally appealing.) Last night, the sculptures were sold in a silent auction, but you can still admire them in-store for a while. Want to know more? Click over to our previous Stark post, or check out Apartment Therapy's take.